Information: Deception Pass State Park is a 4,134-acre marine -----and camping park with 77,000 feet of saltwater shoreline, and --33,900 feet of freshwater shoreline on three lakes. Rugged ------cliffs drop to meet the turbulent waters of Deception Pass. The --Pass separates Whidbey Island and Fidalgo Island. Deception --Pass State Park is composed of land on both sides of the Pass, --on both islands, as well as several smaller islands in the vicinity. Access: The park is located nine miles north of Oak Harbor, and --nine miles south of Anacortes, on Whidbey Island. There are 5 --boat ramps and 710 feet of dock. Sharpe Cove has 5 buoys and --128 feet of dockage.There are six showers, a launch ramp, a ------mooring float and a boat pumpout facility located at Cornet Bay. --There are three separate campgrounds within the park. There ----- are four kitchen shelters with electricity and six without, all of ------ which were built by the Civilian Conservation Corps in the ------1930s. --Fifty sheltered and 261 unsheltered picnic tables are -------also provided. There are 38 miles of hiking trails. Comments: The park is outstanding for breath-taking views, old-------growth forests and abundant wildlife. -----The human history of the park dates back thousands of years, when the first people settled in the areas now known as Cornet Bay, Bowman Bay and Rosario. The land was settled by the Samish and the Swinomis. The Swinomish probably had a small village site near Cornet Bay, and perhaps along the banks of Cranberry Lake and North Beach. 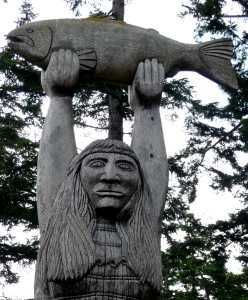 The Samish occupied the northern shores, with longhouses in the Bowman Bay and Rosario areas. Shellfish middens can be found in all of these locations. They lived on the land until the early 1900s. 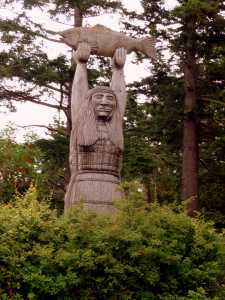 -----The Maiden of Deception Pass story pole is located on Rosario Beach in the north section of the park. It depicts a story of the Samish Indian Nation. Most of this tale is derived from information from State Parks. ---This is not a totem pole. Totem poles were created by people of the more northerly Pacific coast, such as the Haida and Tligit of British Columbia and Alaska. A totem pole is a record of lineage and family history. 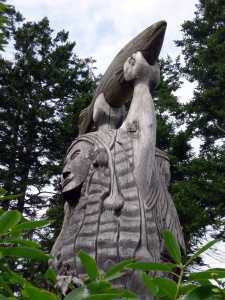 -----Here, in the Puget Sound and Georgia Strait region, Coast Salish people carved or painted doorways and large cedar posts of their houses, and sometimes to mark graves. The designs tell a story, often how the builder became wealthy. -----This pole, under the guidance of Fidalgo artist Tracy Powell, was raised by the Samish people in 1983. It's purpose is to honor their people and maintain a tradition important to the families. -----There are many versions of the following story. This tale was related by Charley Edwards, a Samish fisherman, canoe carver, and spiritual leader of the early 20th century. The Coast Salish Institute was instrumental in preserving this story, and is derived from State Park information. -----One day, Kwuh-kwal-uhl-wat and her sister were filling their woven baskets with chitons they were gathering from the rocks on Rosario Beach. The tide was coming in and she became startled by the swiftly rising waters. 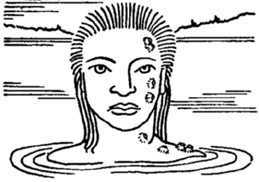 A chiton slipped from her hands into the water. She reached down under the water to get it. But it kept rolling down deeper and deeper, out of her grasp. Finally what her hand grasped was not the chiton but another hand. It held her tight. Kwuh-kwal-uhl-wat tried to pull her hand free but she could not budge. Then she heard a gentle voice in the water say, "Don't be afraid. You are beautiful and I only wanted to look at you a little longer." -----Kwuh-kwal-uhl-wat listened. The voice was very gentle, and although she did not know who it could be, she was no longer afraid. "Who are you?" she asked. "Where are your people?" "I have a big house under the water," the voice explained. "My house is always filled with food and with guests. I have many friends." Kwuh-kwal-uhl-wat held the hand a little longer and then it let her go. She looked as hard as she could into the water, but she could see nothing. -----Some days passed. The next time Kwuh-kwal-uhl-wat went to the beach to gather chitons, the same thing happened to her as before. The voice in the water told her stories about the sea world and held her hand a little longer. Some days later, when Kwuh-kwal-uhl-wat went back to the beach, it happened a third time. And a fourth time. -----The fourth time, Kwuh-kwal-uhl-wat held on tightly to the hand of the stranger in the water and said, "Let me look at you." To her great surprise, a handsome young man stood up in the water, and, still holding her hand, walked with her to her family's house. As a guest the young man was welcomed. He shared food with Kwuh-kwal-uhl-wat's family and was given a dog-wool cape to stay warm. He was very handsome and gentle, but Kwuh-kwal-uhl-wat's sisters thought he seemed chilly and damp. After the meal, he rose and said to Kwuh-kwal-uhl-wat's parents, "O'siam. Thank you very much for your hospitality. I have watched your daughter for a very long time. She is very beautiful and skillful, and I would like to take her home to live with my family in the sea." -----Kwuh-kwal-uhl-wat's father listened very carefully. He did not know this stranger and he did not want to offend him. But he was unsure whether it was a good idea to get involved with these sea people. So he said, "We don't even know your name or your family, besides my daughter could not possibly live in the sea." -----The young man listened. He said, "You should know who I am. My name is very, very great. My house beneath the sea is always filled with seafood of every kind. As my father-in-law, your name will also be very great." -----Kwuh-kwal-uhl-wat's father considered this carefully. "What you say may be true," he said, "but we have never seen your people, and I do not want my daughter to go away from here forever." They spoke like this for a long time. Finally the young man saw that Kwuh-kwal-uhl-wat's father was not going to give in, so he rose to leave. "You say that you do not know us, but we have always been kind your family and your people. Now you turn us away. Well, if that is your wish, I will go home alone, and you will have to live without our gifts. The tides will not go out. You will find nothing on the beach. Even the springs will go dry." Saying this, he left. -----JJust as he said, things got very bad for Kwuh-kwal-uhl-wat and her family. The tide no longer went out, and there was nothing to eat. The springs dried up, and the women had no milk in their breast for the babies. No one came to visit them. Everyone in Kwuh-kwal-uhl-wat's family was terrified and ashamed because they were so poor. At long last, Kwuh-kwal-uhl-wat's mother said to her, "You'd better find that young man again. " Kwuh-kwal-uhl-wat bathed and her father wrapped her in her best clothes. She went down to the beach. She called the young man's name. She cried, and then walked into the water. 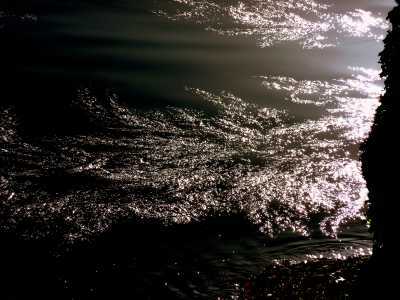 -----The young man appeared in the water and came to her with an armful of gifts from the sea. They walked hand-in-hand to her house. This time-Kwuh-kwal-uhl-wat's father said: "I am sorry we have shown you disrespect. Please accept my daughter as part of your family, and be our in-laws. But there is one thing I must ask from you. We love our daughter and will worry about her. Let her come back each year for a visit, so that we can see that she is happy. " The young man left with Kwuh-kwal-uhl-wat. They walked out into the sea and disappeared under the waves. The tide went out and the springs began to flow. There were more fish and shellfish than ever before. Kwuh-kwal-uhl-wat's family grew very rich. They held great feasts, and canoes came from everwhere to visit them. -Kwuh-kwal-uhl-wat's people were famous. -----Four times Kwuh-kwal-uhl-wat came home again to see her family. Each time she came, there was even more seafood than before. But each time Kwuh-kwal-uhl-wat returned she seemed sadder to be away from the sea and her handsome husband. Each time she came home her family noticed that she was becoming more like a sea creature. Her skin seemed colder, and in places it was covered with scales or barnacles. Her hair looked more and more like seaweed. The fourth time she came to visit, Kwuh-kwal-uhl-wat seemed so sad that her family said "If you are so happy in the sea, you don't have to come to us like this any longer. " Kwuh-kwal-uhl-wat walked back into the sea, her long hair floating like the seaweed you see today around Rosario Head. When you see that seaweed floating on the tide, you know that Kwuh-kwal-uhl-wat is still here, looking after her family"
----- Alexis Edge, one of the carvers of the story pole, said (in 1952) that the Indians who once lived on the islands had no trouble bucking the swift current of Deception Pass if they would think about the maiden; if they did not keep their minds on her, their canoes would get caught in the whirlpool and they would sink. Sometimes they saw the girl come up from the water. With her hands on her hips, she would wade around in the current behind the canoes. -----Juan de Fuca (Ioánnis Fokás, a Greek mariner sailing under the Spanish King Phillip II) may have been the first of the European explorers, allegedly visiting the area in 1592. He wrote a record of this account when he returned to Europe, which apparently described some of the features of the area. -----Serious exploration did not begin until the late 1700s. Manuel Quimper, skipper, crossed from the Olympic Peninsula area to present-day Whidbey Island on the Princesa Real, on which Carrasco served as pilot. They missed Admiralty Inlet and Puget Sound beyond, though he did name, in 1790, what he thought had been a bay, Ensenada de Caamano. He continued north up present-day Rosario Strait as far as Fidalgo Island (Carrasco's Boca de Fidalgo, or Boca de Flon, is present-day Deception Pass). -----Spanish explorer Carrasco was second and later captain of one of the two ships of the Eliza Expedition, sailing out of Nootka Sound. He discovered and named Guemes Island and Padilla Bay in 1791. Fidalgo Island is named for Lieut. 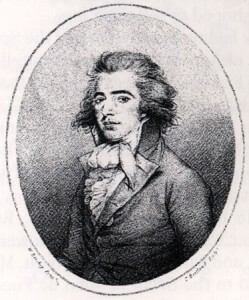 Salvador Fidalgo who was present in the waters off the shore of Vancouver Island and in the Strait of Juan de Fuca in 1790; Camano Island bears the name of Lieut. Jacinto Caamano, who was present in northwest waters about the same time. Neither Fidalgo nor Caamano saw the islands that today bear their names. Rosario Strait, a contraction of Gran Canal de Nuestra Senora del Rosario la Marinera - a name applied to the present Gulf of Georgia by Eliza in 1791. -----The English explorer, Captain George Vancouver, entered the Strait of Juan de Fuca in 1792. He spent several months exploring the area. We still use the names he gave to many of the features of the area: Puget Sound, Admiralty Inlet, Mount Rainier, and Mount Baker, for example. -----Vancouver said, "A very narrow and intricate channel, which, for a considerable distance, was not forty yards in width, and abounded with rocks above and beneath the surface of the water. These impediments, in addition to the great rapidity and irregularity of the tide, rendered the passage navigable only for boats or vessels of very small burthen." -----In 1866, the land around the Pass was recognized for its strategic military value in protecting this backdoor entrance to Puget Sound. The federal government set aside over a thousand acres on both sides of the pass for a military reservation. This presence led to the naming of Reservation Head (what is now Lighthouse Point) and Reservation Bay (now Bowman Bay). These names can still be seen on older maps. -----The only time that the area was fortified was during World War I. At West Beach, a searchlight was mounted on the westernmost point. The concrete foundation of this light is still there, making a great platform and seat for watching sunsets. Gun Point at North Beach was so named for the rapid fire gun established on this rock just west of the bridge. -----Seen from the bridge looking northeast are the remains of what was at one time a state prison camp. The prison rock quarry operated from 1910 through 1914, and its nearby barracks housed some 40 prisoners, members of an honors program out of Walla Walla prison. The prison population was made up of all kinds of prisoners, even murderers. Guards stood at the quarry as the prisoners cut the rock into gravel and loaded onto barges located at the base of the cliff top and the Pass waters. 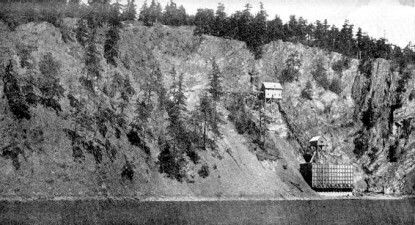 The quarried rock was taken by barge to the Seattle waterfront.-The camp was dismantled in 1924. Although abandoned as a quarry, the remains of the camp can still be found. However, the location is hazardous, and there have been several accidental casualties when visitors venture onto the steep cliffs. -----After the First World War, the value of the area to the military was minimal. A 1925 act of Congress designated the property be set aside as a state park. 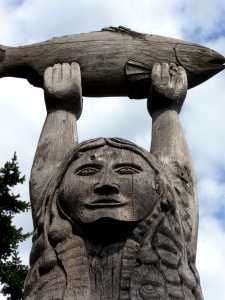 -----The Maiden of Deception Pass story pole is located on Rosario Beach in the north section of the park. 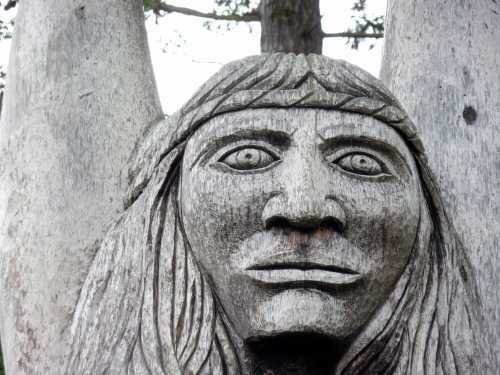 It depicts a story of the Samish Indian Nation. -----The park was popular with the growing communities of Anacortes and Oak Harbor, but had no facilities to encourage recreational use other than hiking. The National Park Service created a park master plan in the early Thirties. This plan envisioned a campground near Cranberry Lake, and a foot trail out to West Beach. East Cranberry would be the center of activity, with swimming beaches, docks for strolling over the lake, a bathhouse for changing, and a large parking lot. -----In the 1930s, with the country in a deep economic depression, President Roosevelt established the Civilian Conservation Corps(CCC) to help young men get back on their feet, giving them employable skills and a living wage for their families, and at the same time building parks and growing forests for the future strength of the country. -----There is an historical interpretive center at Bowman Bay. The building was originally constructed as a bathhouse, and was renovated by Civilian Conservation Corps (CCC) alumni volunteers in 1987 to commemorate the legacy of the CCC in Washington State Parks. -----At Deception Pass, two camps were established, one at Cornet Bay and one at Rosario. Between the two camps, many of the parks features were built. Kitchen shelters, ranger residences, bridges, roadways, trails, restrooms, and the log railings along the highway are some of the significant contributions the CCC gave to the park. Most of these features are still in active use as they were intended, a testament to their durability and craftsmanship. -----Development followed the master plan of the park. It was sensitive to the environment and heritage of the area, while encouraging recreational uses that were appropriate for the locations. The area changed drastically with the opening of the Deception Pass bridge in 1935. Access to Whidbey Island was now a direct highway route. The popularity of this new park grew through the coming years, until it became the busiest single state park property in Washington. -----The park expanded occasionally, with additions to the Cornet Bay area, the Ginnett Hill area, land around the Pass Lake in the early 1990s, the Hoypus Hill and Hoypus Point areas in the 1980s, and the more recent additions of land north of Bowman Bay in 2002, the Sunrise Resort in 2005, and other scattered locations. For a short time, Heart Lake was also a part of Deception Pass State Park. This area was sold to the city of Anacortes in the late 1990s, however, for management by the local community, in agreement with the land use plans created by Washington State Parks and the general public. -----Bowman Bay was home for a Washington State Department of Fisheries fish hatchery from the 1950s to the early 1970s. The tanks were broken up when the hatchery was no longer cost effective, although the wharf and duplex residence still remain. -----In totality , the park now covers over 4000 acres, with land on nine different islands, including all of Skagit, Hope, Deception, and Strawberry Islands. -----Although the park is visited by over a million visitors a year, it still provides a quiet and peaceful hike or picnic in its more remote and scenic locations. It is a marvelous place to visit.